Intel has revealed it is actively collaborating with Dell, HP, Lenovo and Microsoft to bring 5G connectivity to Windows PCs by next year. Specifically, the chipmaker is planning to use its XMM 8000 series commercial 5G modems, which are expected to begin shipping later next year, as the basis for the delivery of what it claims will be the first high-performing 5G-connected PCs to come into the market. At present, the company expects the first 5G-loaded PCs to ship in the second half of 2019. 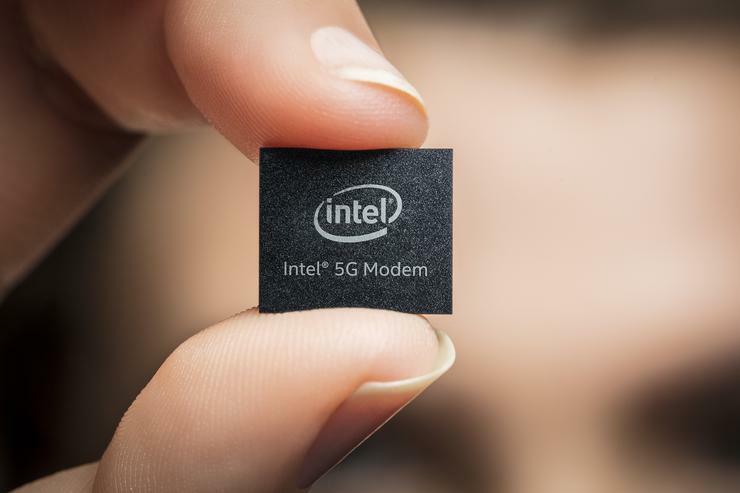 Intel introduced its upcoming portfolio of commercial 5G modems, including the XMM 8000 series -- Intel’s first family of 5G radio multi-mode commercial modems -- in November last year. Intel said it is investing deeply across its wireless portfolio and partners to bring 5G-connected mobile PCs to market, and plans to show off some of its 5G developments at the world’s largest mobile telecommunications industry event, Mobile World Congress, which kicks off in Barcelona on 26 February. However, Mobile World Congress (MWC) attendees won’t get to see Intel’s new 5G modems in action. Instead, they will get a look at a concept 5G-connected PC – a detachable 2 in 1 – connected by an early 5G modem and powered by 8th Generation Intel Core i5 processors. The 2019 timeframe for the delivery of PCs with Intel’s next-generation chips comes as little surprise, given that telecommunications standards organisation, 3rd Generation Partnership Project (3GPP), signed off on an accelerated roadmap last year that laid the groundwork for 5G deployments beginning in 2019. The rollout of 5G had originally been expected to take place in 2020. The expedited progress of determining global 5G standards has also seen some telecommunications carriage providers announce deployments of the technology within their network footprints next year. For example, Australian Singtel subsidiary, Optus, said in February that it plans to commence the rollout of a 5G fixed line service in Australia by early 2019, starting with key metropolitan areas. The telco’s announcement came after the launch of an outdoor trial for 5G New Radio, which delivered 2Gbps download speeds using a potential device for a fixed wireless service in the home and business. Just days after Optus flagged its 5G timeline, fellow Australian telco, Telstra, opened an innovation centre where it is testing next-generation mobile technologies in Australian conditions to support the early commercial deployment of 5G services across the country. “From our 5G Innovation Centre we will be completing a number of 5G first in 2018 to ensure Australia remains at the forefront of mobile technology,” Telstra chief operations officer, Robyn Denholm, said at the time. What is 5G and who are the major players?